Maintaining a blog and posting on social media are great ways to share thoughts, opinions, and current industry news. But with all of the curated content shared online, it can often be difficult to stand out from the crowd. Sure, you can have a great voice and interesting insights, but this only gets noticed once you’ve convinced the viewer to stop and pay attention to your content. By using original graphics, your company can increase visibility, improve recognition and retention, and establish consistency for your online presence. 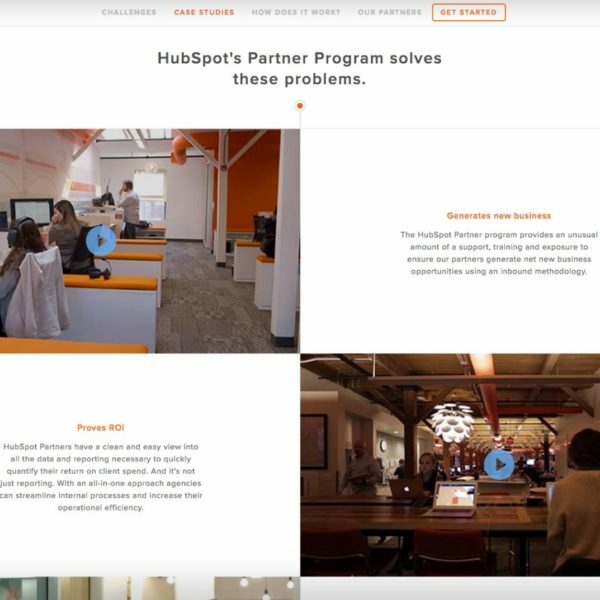 When scrolling through content on social media or exploring a website, viewers are quick to pass up visuals that are generic or do not catch their attention. Photography, custom illustrations, and other visuals help to break text and give the viewer something to rest their eyes on. In fact, content posted with a relevant image gets 94 percent more views than posts without visuals. However, even with a stock photo supporting your post, viewers are still likely to pass up on an image that they do not trust or value (ie. a generic smiling woman in an office staring straight into the camera). Instead, professional photos of your company can show its true personality and create a brand with value. With consistent treatments such as a colored overlay, filter, or texture, the photography you use within your material is sure to stand out in a sea of overused stock photos. 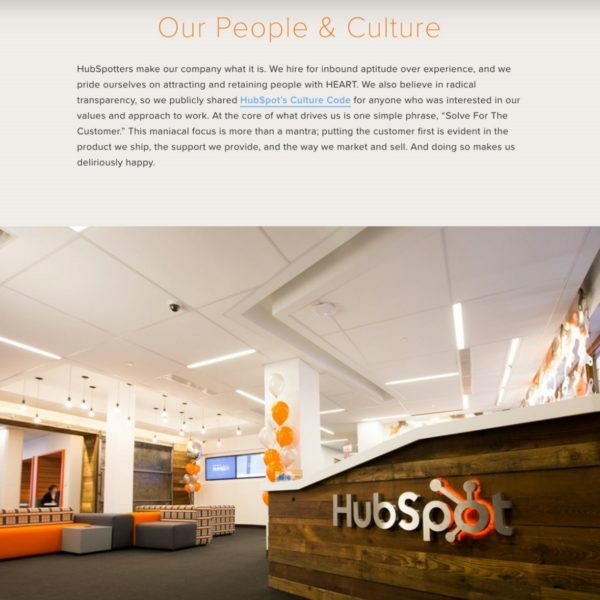 By incorporating professional images of its office and staff, HubSpot gives a glimpse into the company’s environment and culture. A consistent style of graphics creates a strong visual brand and differentiates your business from others. This is accomplished with imagery that incorporates a consistent typeface, illustration style, or color palette specific to your brand. With these elements, viewers are more likely to recognize the material you post when shared through social media and other channels. Custom illustrations and icons relevant to the content can support information and in turn, improve the viewer’s ability to remember it. Even after 3 days, users are more likely to retain up to 65 percent of a piece of content when it is presented in a visual form.With custom visuals, viewers build an association between your graphics and your business and ultimately retain the material you post even after clicking away. A recognizable style is established with the Help Scout’s vibrant illustrations. No matter where the image is seen, viewers can identify the brand just by the illustration. 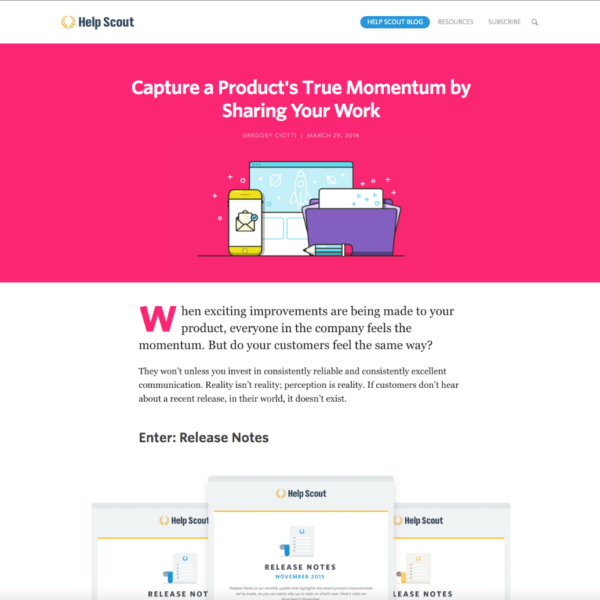 Including custom-made visuals with your content gives you (or your designer) the power to optimize the sizes and layout of your content based on which platforms you plan to use to share it. Maybe you want a narrow header image for your blog, but also want a square tile to share on Twitter. With an original graphic, the visual can easily be cropped or altered to fit any layout. Additionally, a vector graphic allows for the image to be scaled up or down to any size without losing quality. With the freedom to alter graphics based on how the graphics will be used, you brand can establish a sense of consistency across multiple platforms. 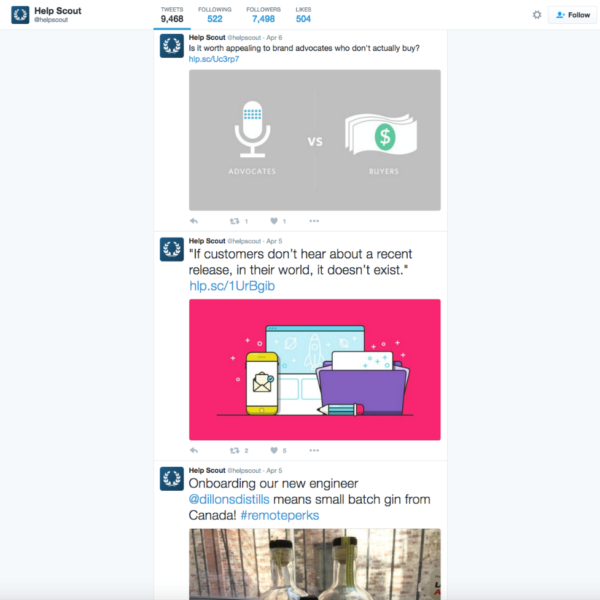 The same graphic that was used as for blog post (above) is reduced in size and shared as a visual on Twitter. Whether you choose to incorporate professional photography or illustrations (or both) into your website, blog, and social media content, establishing a consistent style using custom graphics will make your brand more recognizable, elevating your brand and giving you the edge to stand out from your competitors. Stefanie is Springboard's graphic designer and creative problem solver. Beyond her desk, she spends her time crafting, trying out new dinner recipes, watching competitive baking shows, and sipping on tea.